Openings for freshers at Amazon Development Center India. Walkin Date: Feb 9-10 2012. Computer science end electronics Streams are allowed to apply. Excellent knowledge in American English and should be able to communicate grammatically correctly. Candidate should be flexible with Shifts and should be available 24*7*365. 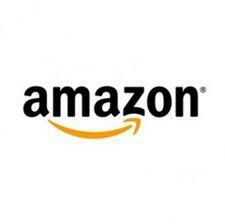 Amazon.com, Inc. (NASDAQ: AMZN) is an American multinational electronic commerce company with headquarters in Seattle, Washington, United States. It is the world's largest online retailer. The company employs software developers in centers across the globe. While much of Amazon's software development is in Seattle, other locations include Slough (England) and Edinburgh (Scotland), Dublin (Ireland), Bangalore, Chennai, and Hyderabad (India), Cape Town (South Africa), Iaşi (Romania), Shibuya, Tokyo (Japan), Beijing (China), Orange County (United States), San Francisco (United States), Tempe (United States), Vancouver (Canada), and Toronto (Canada).